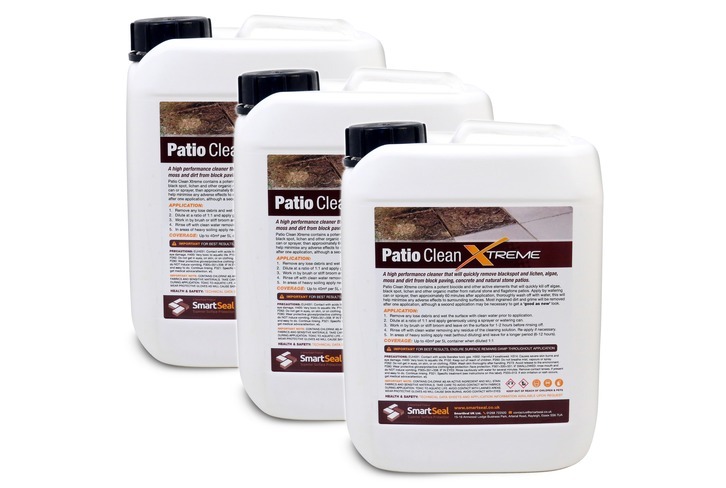 PatioClean Xtreme is a fast acting, high performance patio cleaning product, with four powerful active ingredients. 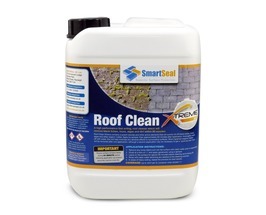 PatioClean Xtreme offers the simple way to keep any patio clean often avoiding the need for pressure washing. 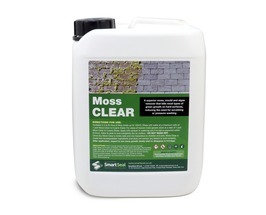 Simply dilute 1:1 and apply to a wet surface by watering can or sprayer. It is important that the patio remains wet for 1 hour. Then wash away with water from hose or pressure washer. 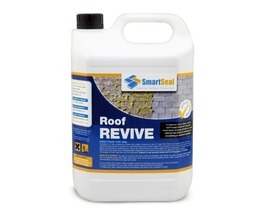 For areas of heavy soiling, scrub into surface or re-apply. 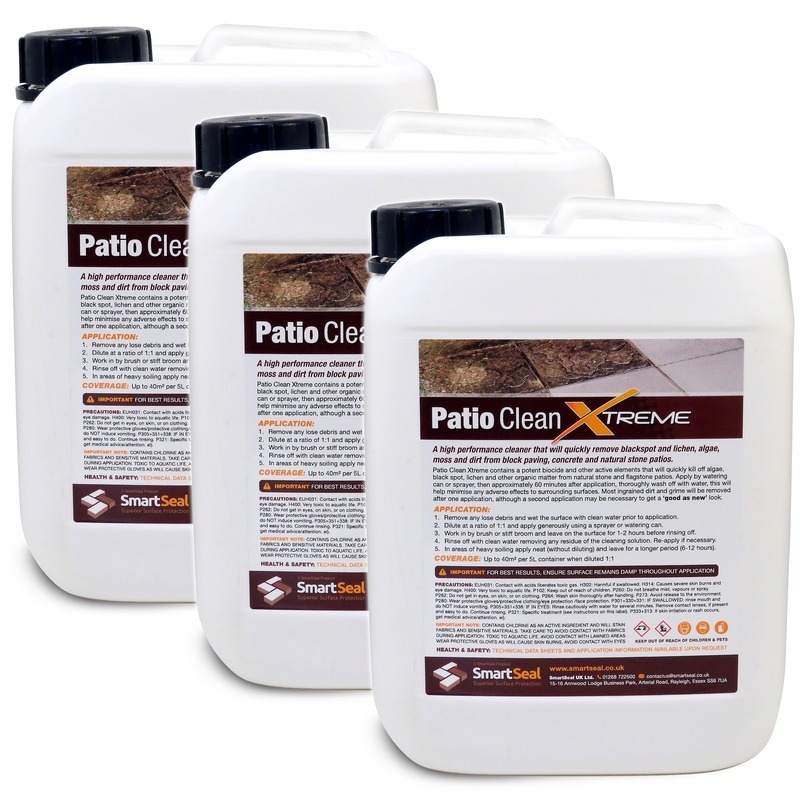 PatioClean Xtreme is a powerful cleaning product, which combines with a biocide to slow down future contamination. 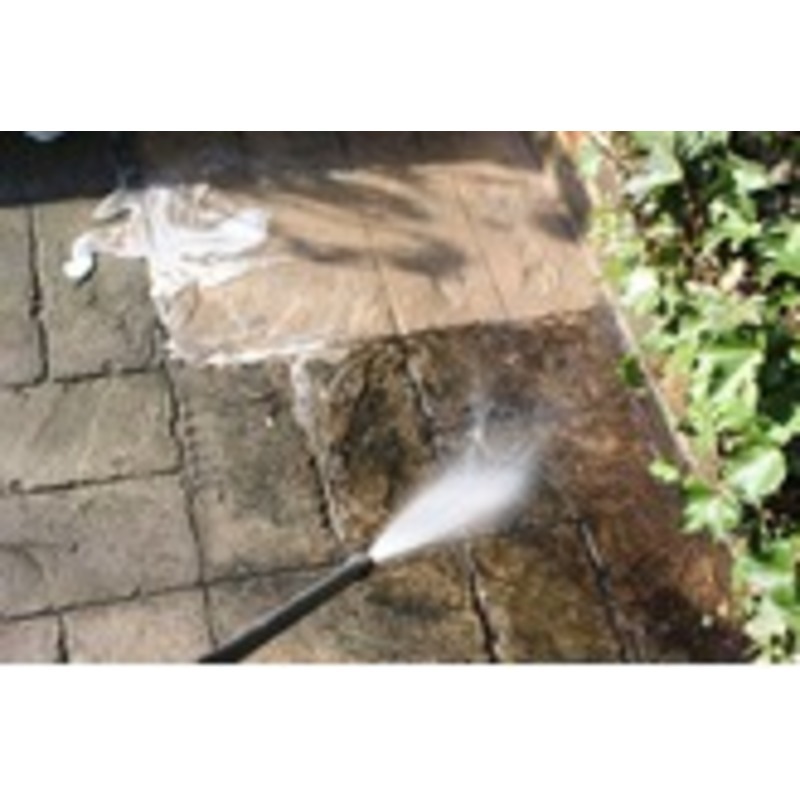 5 litres of product will clean and treat approximately 40 m² of flagstone, natural stone, or block paved patios. 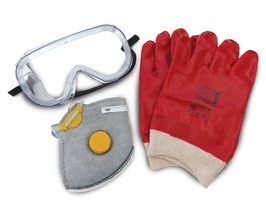 Wear appropriate safety wear at all times. see technical page for more information. 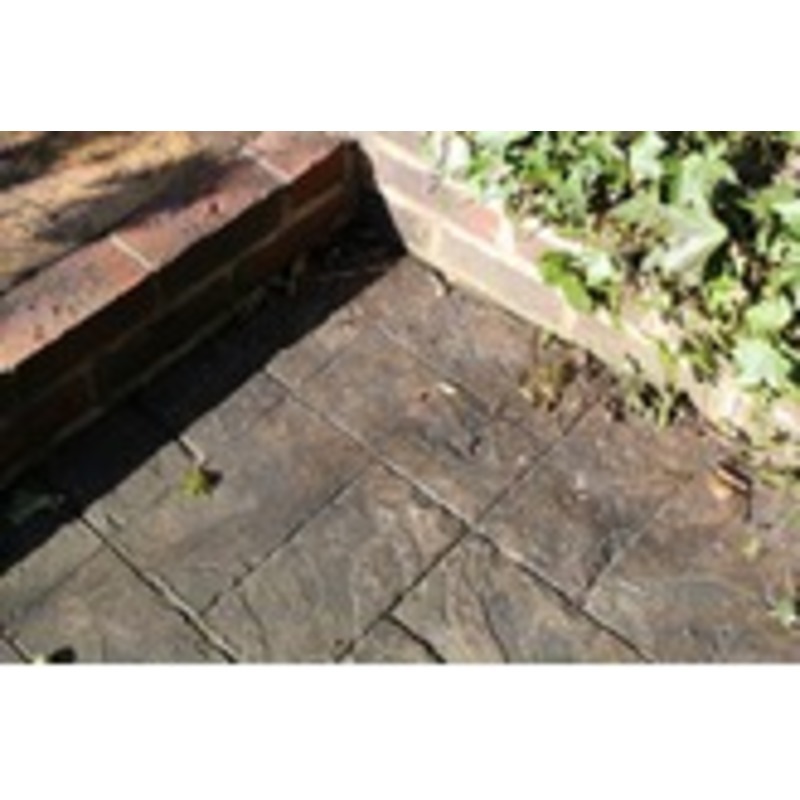 Sweep away loose debris and areas with heavy build up of moss. 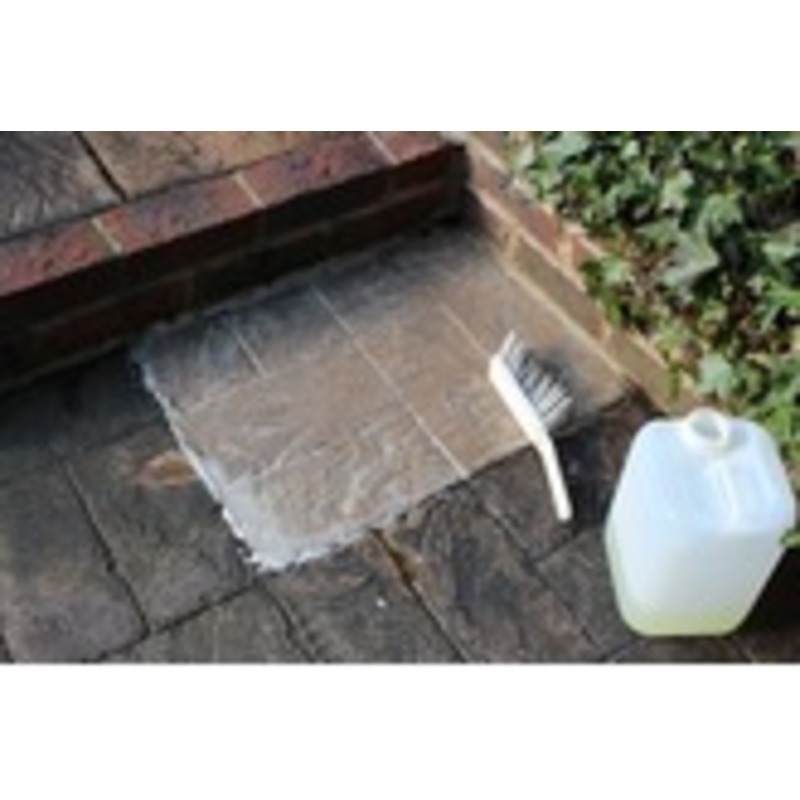 Firstly wet the surface of the patio with water. Dilute PatioClean Xtreme at a ratio of 1:1. Then apply liberally using a watering can or sprayer, leave on the surface for approx 60 minutes or longer before cleaning off. 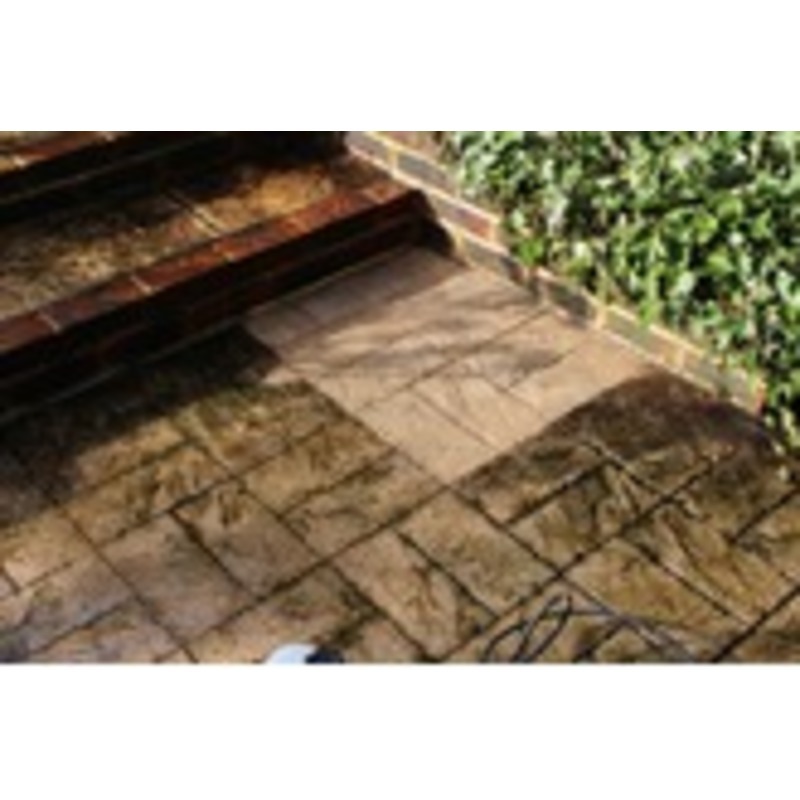 It is important the patio remains wet throughout during 60 minute period, as the product becomes inactive once dry. Most ingrained organic matter and grime will be removed after one application, but sometimes a second application may be required to remove all black and white spot algae.